It does not pay to always raise shoulder. Being proud is not a good way to live life. Pride can send negative message about your personality to people. It can make people see you as empty drum. So learn to humble yourself. That is what will pay you and bring people that will make your life a happy one to you. Why claim you have a car while your cannot even buy sound car engine. Someone hired the car of a friend of mine and traveled to his home town to make show that he has bought a new car. On his way back to the city after the show, the car was pressed by another bigger vehicle and damaged the part of the hired car. This became an extra expenses for the person that claimed what he was not. 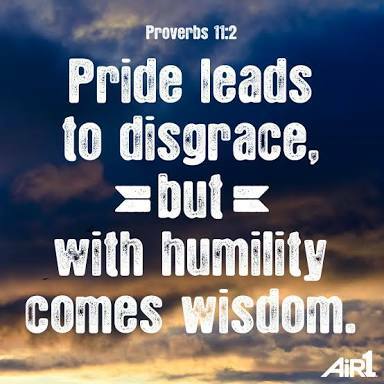 Humility is very important. Because the young man was hanging his shoulder where he has not reached, he paid for the damages and the money he used to hire the car. Simplicity is very important in the life of everyone that wants to go far. Some men wear pride as clothes. They never want to be humble. That's why they could not speak up even when they are facing some challenges. They claim all is well with them while nothing is well with them. When you humble yourself, God will uplift you. 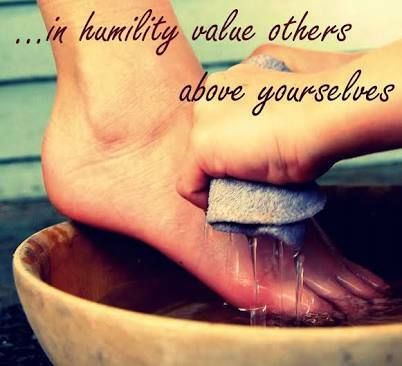 You get favour from people when you practice humility. It will make people come close to you and do business with you. A man in top position can decide to make you his right hand man or give you some good contracts because you are humble. Learn to live a humbled life.